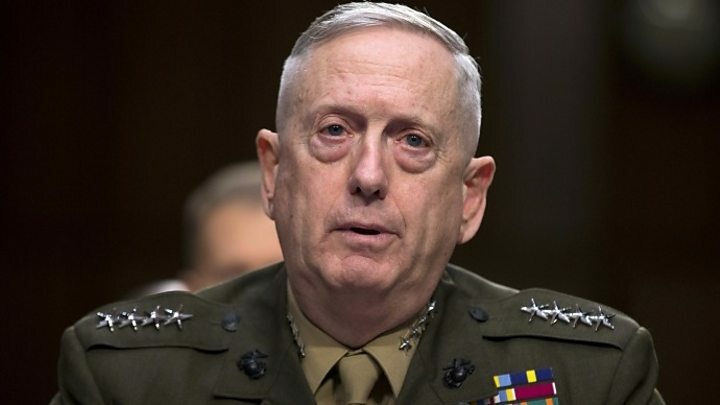 Media captionWhere did Gen James Mattis get his nickname "Mad Dog"? The new US defence secretary has told Nato members that Washington will "moderate its commitment" to the alliance if they do not increase their spending on defence. James Mattis's comments repeat President Donald Trump's demand that members raise their spending to meet a target of 2% of their GDP. Only five of the 27 countries do so. Earlier, Mr Mattis had hailed Nato as the "fundamental bedrock" of trans-Atlantic co-operation. What can be expected from first formal meeting? Who is General 'Mad Dog' Mattis? According to a text of his remarks, Mr Mattis said at the Nato headquarters in Brussels: "No longer can the American taxpayer carry a disproportionate share of the defence of Western values. "Americans cannot care more for your children's future security than you do," he added. Media captionJonathan Beale reports from the Arctic circle: The US has called Russia's conduct in the Arctic "aggressive"
Commentators said this was some of the strongest criticism in years to allies who have not hit their spending goals. Mr Mattis said members must show progress this year and adopt a plan to increase their contributions, even if slowly. Only the US, UK, Estonia, Greece and Poland currently meet the target, but others are on course to reach that level. "America will meet its responsibilities, but if your nations do not want to see America moderate its commitment to this alliance, each of your capitals needs to show support for our common defence," Mr Mattis said. The US defence chief added that investing in common defence was vital, and cited the threats that have emerged since 2014, such as the annexation of Crimea by Russia and the rise of so-called Islamic State in Syria and Iraq, on the southern border of member Turkey. General James Mattis, the former Nato insider, has delivered a thunderbolt aimed at the complacency of many of Washington's European allies. He has put them on notice. No longer will the US taxpayer bear a disproportionate share of the defence burden. If the Europeans do not dig more deeply into their pockets then the Trump administration "will moderate its commitment" to Nato. Quite what this means is unclear. Surely the US would not weaken the alliance by limiting its own contributions? Well that's a proposition presumably that Gen Mattis believes will not be tested. He must hope that his warning, and a warning it was - however eloquent and hedged around with words of reassurance - will force Nato allies to pay more. This debate matters now more than ever because there is a new species of US president with few of the predictable reflexes of previous occupants of the White House. There is also a resurgent Russian threat and a diverse array of worrying challenges on Nato's southern flank. 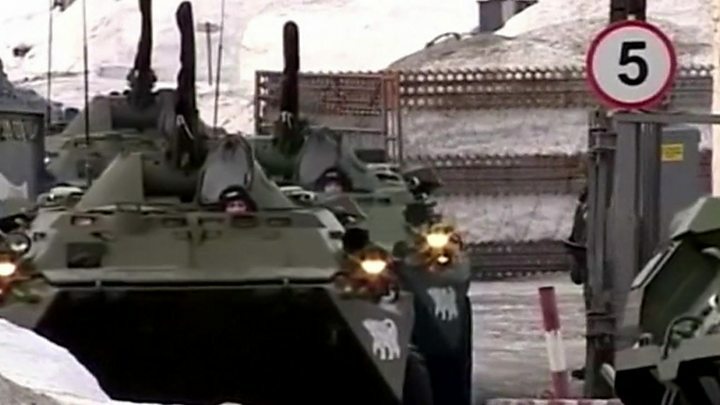 The US has deployed thousands of troops and hundreds of vehicles to the alliance's eastern borders to reassure its allies. Now they are going to have to foot more of the bill. Nato Secretary General Jens Stoltenberg said alliance members were already increasing their contributions. And UK Defence Secretary, Michael Fallon, said he had urged countries to increase their spending, even if they could not meet the 2% target. "An annual increase that we're asking them to commit to would at least demonstrate good faith." The meeting was held amid concern over the new administration's ties with Russia and the resignation of Michael Flynn as US national security adviser. Mr Trump's comments, during his campaign, that the US might not defend allies who do not contribute their "fair share" to Nato, had worried many European nations, particularly those near Russia's border. He was critical of the Western military alliance, describing it as "obsolete". But Mr Mattis showed strong support for the alliance, hailing its ability to respond to security challenges. "The alliance remains a fundamental bedrock for the United States and the trans-Atlantic community, bonded as we are together," he said.